After six weeks in Montréal, it was time to move on to South America. (By the way, that was my longest stop in a single place this year!). I was finally going to a continent that I didn’t know at all and that I was eager to explore. 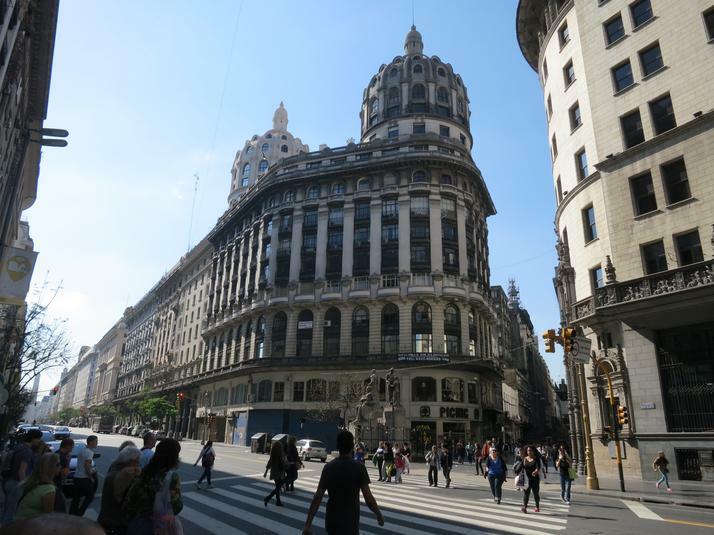 I chose Buenos Aires as my first stop as I heard a lot of good about it and my readings on the subject made me conclude that I had to visit the “Paris of the South”. Let me tell you that I felt under the city’s charm pretty quickly. Buenos Aires has a unique atmosphere. There is something definitely European about it and at the same time there is much more. It also reminded me of Istanbul in how it mixes the old and the new. It’s a vast city with a lot of different neighborhoods to explore, each with its unique vibe. 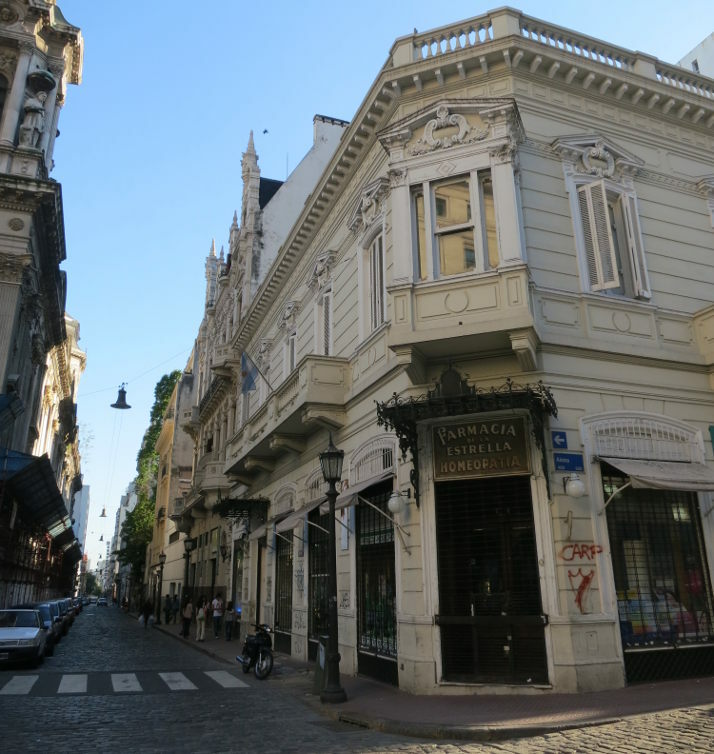 I started in San Telmo where my hostel for the first ten days was located. This bario is in a “lower class” part of town, historically artsy but currently trending and gentrifying quickly. It’s full of old colonial buildings, small corner restaurants and bars. It’s famous for it’s Sunday antique market which attracts a lot of people. Interesting to walk around but not really my cup of tea. La porta roja is a curious bar, well known but without any indications outside. You have to known the address in advance and find the red door. I love the concept. San Telmo is right next to La Boca, one of the poorest neighborhood of Buenos Aires. It’s famous for it’s colorful and artfully painted houses. The painted houses are however limited to a very touristy area and the rest of the area does not offer much and is well known for being dangerous at night. At the opposite end of the spectrum, there is Palermo and its modern buildings, trendy restaurants, clubs and shopping centers. It’s a beautiful neighborhood, always crowded and very lively at anytime of the day. Buenos Aires is really a city that never sleeps. Palermo is also the parks neighborhood and the green areas get crowded quickly on a sunny day. Other notable things to visit are the Teatro Colon, Recoleta Cemetery (which is indeed worth visiting) and the whole microcentro area with Florida Street, the Casa Rosada and much more. 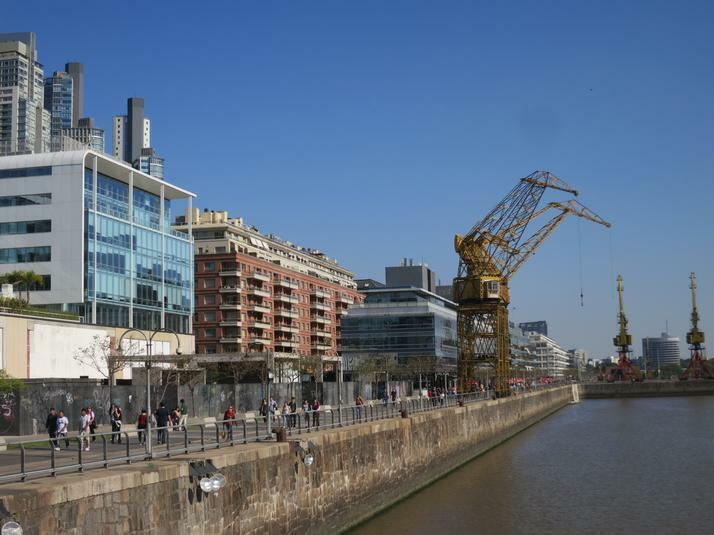 The Puerto Madero docks and the bario by itself make for a perfect afternoon walk. Have a burger and dance Salsa (?!) along Laguna de Los Copios on the Sunday afternoon. As you know, I travel without real plans, just a rough itinerary. My goal when arriving in Buenos Aires was to gauge the place, see if I would like it enough for it to be my base for the next month. I’m writing this from the apartment I’m renting in Palermo and I’ll be really sad when I’ll leave at the end of the month. I really love this city and I will definitely come back before leaving the continent!